Online buying is safe, easy, and well . . . easy. Know what this is? 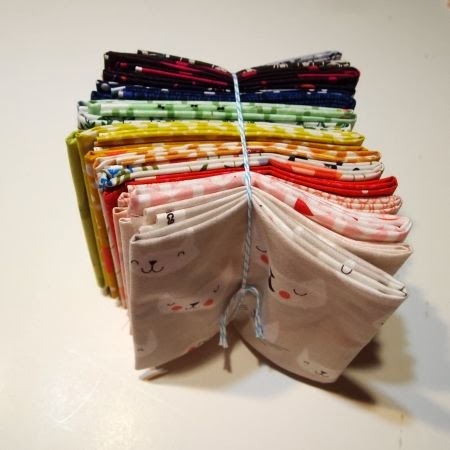 It's a photo of a fat quarter bundle of the entire Lizzie House "Catnap" collection, newly available. Placed "on hold" as soon as I saw it advertised. And this? Yes, it's a second bundle of the same line. Now, I love love love Lizzie House fabrics. Enough to buy two bundles of the same collection? Not really. I forgot I'd placed it "on reserve," and when I saw the collection at another online shop, I pounced. Imagine my surprise when two! bundles arrived, a day apart. To their credit, Pink Castle Fabrics agreed to take one bundle in return. But they charge a 10% restock fee, and of course, I'd have to pay the return shipping. All that plus the original shipping cost would wind up being more than $20. So I'm keeping both, maybe someday it will be one of those $250 per fat quarter fabrics and I can buy a plane ticket to Hawai'i! and realizes she owns almost no "low volume" prints. 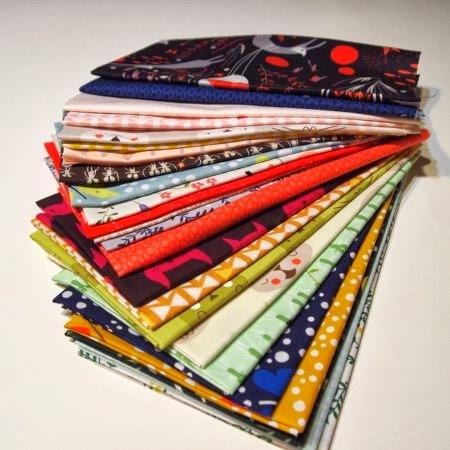 So she buys a fat quarter of nearly every low volume print in every quilt shop she visits during an all-day road trip to pick up a quilt from Wolf Creek Quilting. Safe, easy, and . . . . dangerous! 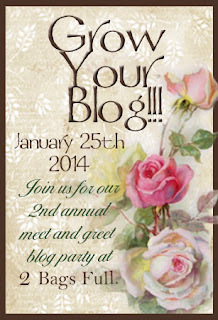 BTW, just wait 'til you see what I have to give away next weekend for the "Grow Your Blog" hop! That is toooo funny about the Catnip bundles. Guess it really was like 'catnip' to you!!! I've never bought fabric online. i'm nervous about the colors or print not being what I expected. Sara, I purchased several bundles from various sellers on ebay, one 5 inch charm pack of Benartex from a big online seller I cannot remember who, and also purchased from Hawthorne Threads. Mixed successes-I was disappointed in the quality of the benartex, very thin and frayed; excellent quality in most ebay purchases and no disappointments. If you have never bought it before I would try Hawthorne, they are a young couple who strive for excellent fabric and service and have been very good to me three times now. JoAnn's fabric I must see and handle before buying. Best deal was a private sale in another forum that got me a box of delightful variety of huge cuts for a song. She was selling later boxes just for the postage-I have no place left to put any until I use what I have.... i should be sewing, shouldn't I ?~! Couldn't help but laugh at Anne's comment! 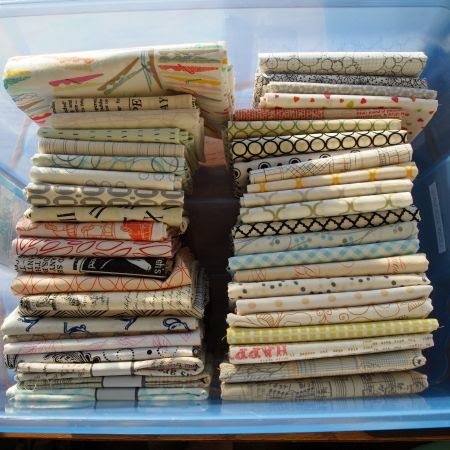 I have duplicate fat quarter bundles in my stash too. Like you said, it's easy . . . Thanks for letting me know I'm not the only one who does this!! funny! And I love your choice of quilt from the Classic Modern Quilts book - that's the one that jumped out to me too. I think you were very wise to keep both bundles. :-) And I love to have a "mission" when I go on a blog hop. I did smile at your comment about Hawai, fabric is so expensive here in England that I decided to try ordering from America. I knew you needed an intervention! You are lucky I live in Australia or I'd have to come over there and cut up your credit card! I love that you ordered it twice! And the stars quilt will look so good in these fabrics! Thanks, Katie -- I'm thinking the extra bundle will make a really super blog giveaway one day! Now you have enough to keep you busy for a while! Beautiful fabrics. That's too funny!!! I just bought a pattern that she designed - yummy!!! I would love to win the give-away. I'm a fledgling quilter and Valentine's Day is my birthday!